:: Silk leaves - found at Michael's and Hobby Lobby. If you can't find individual leaves, look for a garland you can cut up. :: REAL acorns - these are a wonderful gift from the lovely Mama Bee. We have no oak trees in Bermuda, a sad thing for this acorn-loving girl! UPDATE: I've since added a little rake to the tub, too. After all, when the leaves fall you have to rake them together! This fun idea comes from Kara at Little Learners Lounge - thanks, Kara! As you can see, there are a lot of apples in there! I focused on apples for this month's theme not just because it's the typical "back to school", but because September has always meant apples to me. Every September while I was growing up we'd visit the Pine Tree Apple Orchard (in Minnesota) to watch the apples roll around on the sorting belts and to eat some fresh apple pie, cinnamon ice cream and hot apple cider. I remember being SO excited about this and it made the return of the school year something I looked forward to. Using my favorite recipe, I kept the playdough a plain color and added in cinnamon which yielded not only a delicious aroma, but also some lovely brown swirls. I gathered some small pie tins, an apple cookie cutter, little plastic apples (in the apple container), a rolling pin and a knife for James to make his own apple pies! He had such a blast doing this! He tore up bits and filled the pan to make a "crumb" topping and I sliced strips for him to lay criss-cross. Yum! Wish it were real! James is really into reading right now and is constantly trying to sound out the words he sees wherever we are. While we were playing with the dough he said to me, "A is for apple!" and asked me to make a letter 'A'. :) I love that his interest in reading comes 100% from him - I wasn't planning on him entering the world of reading for another year or so! 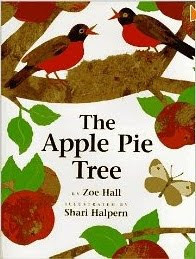 The Apple Pie Tree, by Zoe Hall. A very cute story about a pair of sisters who watch their apple tree grow and change in the seasons and use the apples it produces to make a delicious apple pie. There's even a recipe in the back of the book. 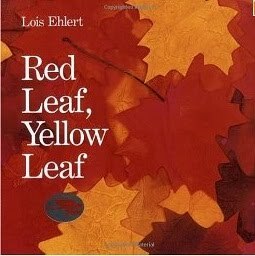 Red Leaf, Yellow Leaf, by Lois Ehlert. This story details the journey of a tree from a sapling at a nursery to a new tree in a child's backyard. There's an informative section in the back about the various parts of trees and even a section on how to plant a tree. 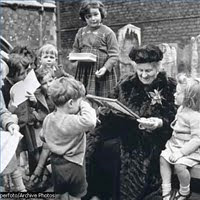 I'm linking this post up to Montessori Monday, The Preschool Corner and Tot Tuesday. Mari-Ann your Autumn sensory tub is a feast for the senses. It is beautiful and James is going to have fun exploring this. Making an apple pie with that scrumptious sounding playdough is such a wonderful idea. The little apples in the pie are so sweet. I LOVE this idea!!! Guess I'll be heading out to the craft stores this weekend! And especially the playdough! YUM! Sounds good enough to eat! LOL! This Fall one is fabulous too! Loveley sensory tub! I can really feel the crisp fall-air! Thank you, Mari-Ann, for this post. It gives me an idea for how Henry can make "apple pies" while his classmates use ingredients he can't eat. All kinds of different applications your work has. Thank you! oooh love that apple pie play dough! actually I just love all of your ideas. Great tub!! I love the colors! September means apple picking for us as well! I wish you could come up and pick with us this year! I love cinnamon so I would love the playdough!! Question for you.. in the past Sammy has gotten burned from cinnamon (when I put it on apple sauce) has James had any issues in handling the playdough? I already wrote this on your FB page, but I LOOOVEE this month's sensory tub!! Fall is my favorite season and I was excited to see what you were going to do. You've outdone yourself, especially with the playdough... looks good enough to eat! We're going to the library this afternoon and I'm hoping to find the two books you suggested, thank you!!! ohhhh so bright and inviting!! can i come play? i will definatly be trying this out with my gang!! Great sensory tub! And the apple pie playdough is brilliant! I'll be linking to you when we start our fall activities, if that's alright with you. You might enjoy How To Bake an Apple Pie and See the World. It tells the story of travelling around the world to collect the various ingredients for the pie. Fun geography, baking, and reading all in one! We just made our fall sensory bin last night! !And it looks very similar to yours, haha! Although you cant get really too different with 'fall' can you? I love that you added the cinnamon sticks. I love all the apples and acorns in your fall sensory tub! Also, the apple pie idea for the playdough is so fun! You always put so much love and care in to your sensory tubs and playdough. Amazing! Love your tubs, but could you tell me where and how you store your items? Such a beautiful and colorful sensory tub and I love the apple pie idea, although I know L would for sure try and eat it! I've been squirrelling away (ha!) since the beginning August for our fall tub, but you've some ideas I hadn't come up with, like the cinnamon sticks! 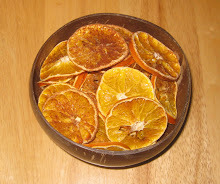 How about a fine motor activity of sticking cloves into an apple or orange? WOW!! Looks like you guys do some really fun stuff!! My three year old would be jealous!! Thanks for stopping by and saying hello! I look forward to getting to know you! I love your fall sensory box and apple pie play-doh idea! I'm doing an apple theme right now too and I will definitely be using these ideas. Thanks! AHHHHH, I LOVE the apple pie playdough!! Off the charts cute! They are so lovely.... I've linked to them through my Friday's Favourites post, up tomorrow/today, whenever you read this!! I'd been thinking of getting apple scent to add to playdough.... I love the idea of the pie dish though!! 1. Practical Life (care of the person): buttoning, zippering, lacing. Montessori created dressing frames (one for each way of fastening), but you could easily put together a basket of things from around the house that have each of these things: buttons, snaps, zippers, ties, buckles, bows, hook and eye and safety pins. I keep meaning to blog about this! 2. Practical Life (care of the environment): setting a table, flower arranging, washing a window, or sweeping grains. 3. Practical Life (preliminary): spooning, pouring, folding washcloths or cutting strips of paper. 4. Language: an alphabet box is a fantastic learning tool - you could pull out just a few of the drawers and put them on a tray. I posted about various “games” you can play with the alphabet box. 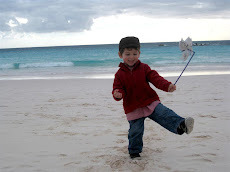 James knows letter sounds very well, but still enjoys the alphabet box immensely and works with it often. If M is beyond that I’d recommend moving on to the sandpaper letters. Or if you don’t want to go the Montessori route in this area, you can just put out one of your fabulous printable activities! 5. Mathematics: again, you could put out one of your printables, or you can create math “games” like my Counting Coconuts game (see my beach theme post), or you could print out a bunch of number cards and use fun counters for him to practice quantifying with. 6. 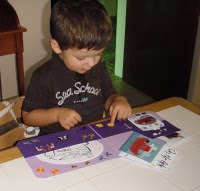 Sensorial: sorting activities, a sensory tub, playdough, sound boxes or any activity pertaining to colors or shapes. 7. Wild card: chose another activity from any of the above categories. So that’s my two cents. :) I hope it helped! My kids are allergic to cinnamon, but this would be a great activity even without it. I find it interesting though that Bear just isn't interested in the sensory bins anymore. 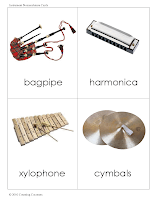 How does James play with his? Bear might look through it the first day and then not again. I wish I had these great ideas for her when she was 18 to 24 months and was into these types of bins. Her brother still puts everything in his mouth so I don't think he'll be ready for the bins until he is past 2. Can't wait to make a pretend apple pie tomorrow with Bear. Thanks again for great ideas! You did it again, Mari-Ann! AWESOME sensory tub and related activities! And I LOVE the play dough basket and apple pie activity! Hi Mari-Ann ~ Your sensory tub is awesome (as usual!) Can you believe this is your 12th month posting sensory tubs!?! 1 year! I still remembered your halloween tub from last year when I was prepping our 2010/2011 plan. We didn't get to do it then, but we will this year. We're also kicking off the school year with an apples theme. Thanks for sharing your great ideas ~ especially the play dough suggestions. Also, a long overdue Congrats on your Certification! That is an amazing accomplishment. I can't wait to hear more about your next plans. Fantastic sensory tub! I am so inspired to do a leaves and apples unit study! Thanks so much for mentioning my blog- you rock! Oh my, you are sensory tub queen!! I am only half way through collecting things for our first tub!! And you have already made another. Red Leaf Yellow Leaf sounds brilliant. I was looking for a good leaf book recently and looks to fit the bill!!! BTW in addition to the monthly Get Crafty Featue, Ialso have a Kids Get Crafty link up weekly.. ahem... do take part! Here is this week's link! 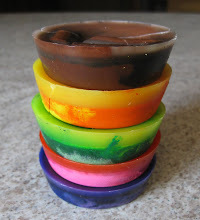 Mari-Ann: I love love love the playdough idea! 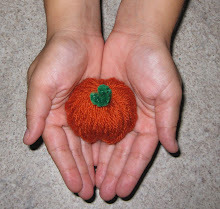 I have put a post up on my blog of fall ideas that I intend to use with my preschool sidekick and older child, and I linked back to you for this fantastic, simple, idea! Thanks so much. Ok, so I've been the "fall grinch" around here because I'm absolutely refusing to relinquish summer till Sept. 23. Cute! 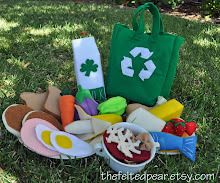 I'll be linking up over at www.onthelap.org for National Playdough Day! Stop by and visit. You inspired me to make one. Thanks !! HA! I just bought some things to make an Autumn sensory box AND I just had a feeling you had something similiar. I was planning to make some of your pumkins but apples look sooo cute. My biggest wish about my sensory box is to teach my boys what Autumn really looks like. Oh, I just LOVE all your crafty ideas! You might don't want to admit it but you are really good at this. Your my inspiration. 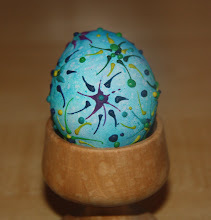 I always come to your blog whenever I need some crafty ideas. Love your sensory tub ideas- they've gotten me changing mine out more in my kindergarten class!